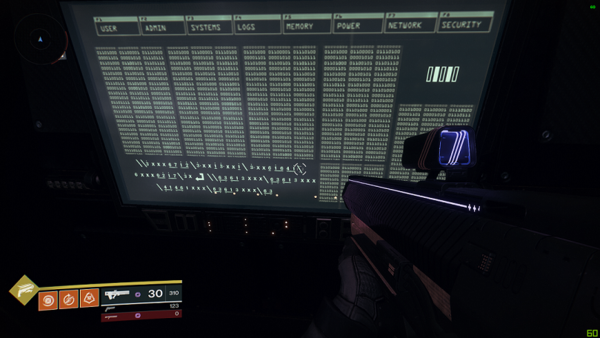 The Rasputin Chamber Puzzle ARG was an ARG for the first-person shooter Destiny 2, developed by Bungie Entertainment. 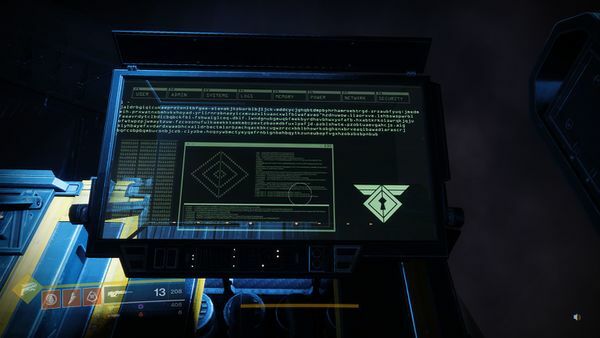 The Rasputin ARG was released concurrently with the Warmind expansion. In the game, Rasputin is the name of a Mars-based artificial intelligence, and several clues in this ARG pertained to him. 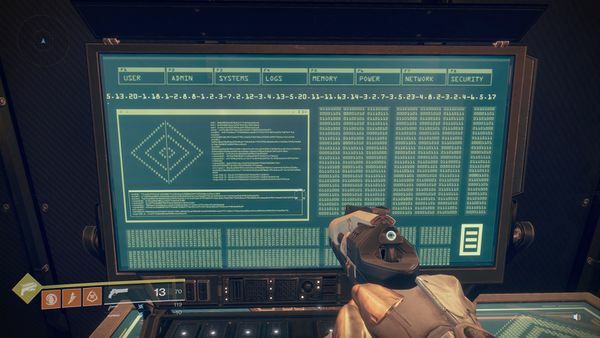 After Warmind's release, players noticed several elements which were a little out of place in the game world, such as lore tidbits, small images around the map, and some suspicious computer consoles. 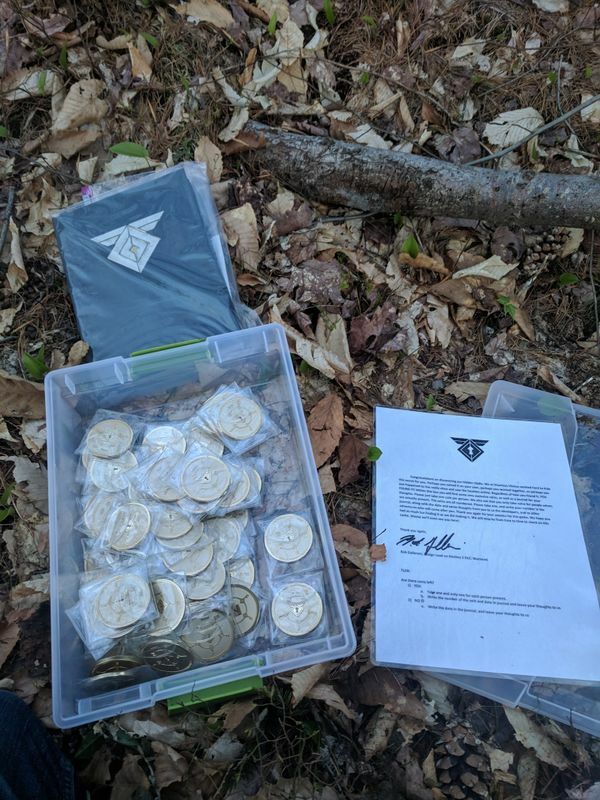 By progressing the ARG, players unlocked in-game content, including the Sleeper Simulant, Worldline Zero, and G335 Overdrive Sparrow, and were eventually led to real-world items, including an actual Destiny Valkyrie, a letter, and dozens of Bray currency. Rasputin's AI is located in a large octohedron. The elements of the puzzle are found as you traverse around the region. The region has 3 classical songs and the tables have 3 words indicating 3 keys would be needed for the final vigenere cipher. 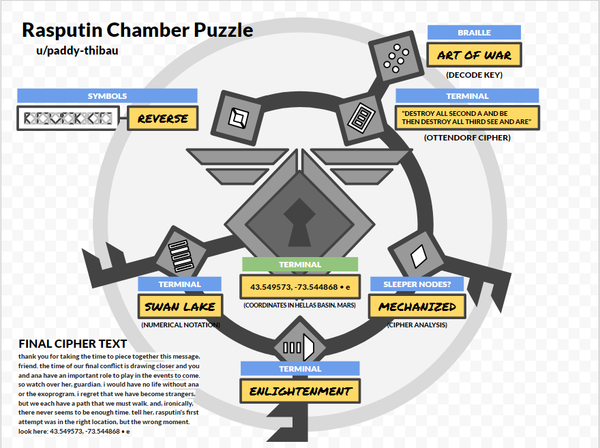 The original puzzle piece to combine elements was found at the entrance to the octahedron. 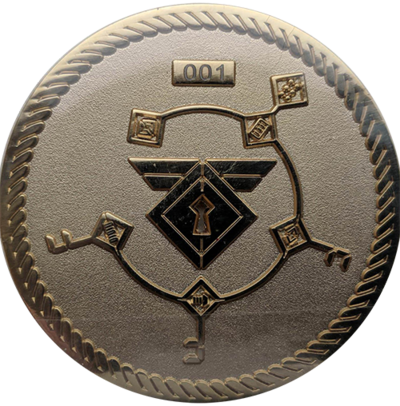 This was the first piece identified as the key element by players on Reddit at the raid secrets channel. Further elements were compiled by other players in a megathread. The wall design yielded 6 distinct items: a ghost, a rectangle with 3 bars resembling a server terminal, a diamond, a speaker microphone, 3 bars, and a lock. These elements needed to be identified and combined in order to solve the puzzle. The ghost clue was thought to correlate with a number of ghost images around the map. Figures were collected into a database then ordered using the numbers beneath them. Several crates are found throughout the mars basin in game. They were compiled into an infographic by a few Reddit users. The figures were collected into a database as in the picture on the left, then ordered using the numbers beneath them. This forms the word Reverse. 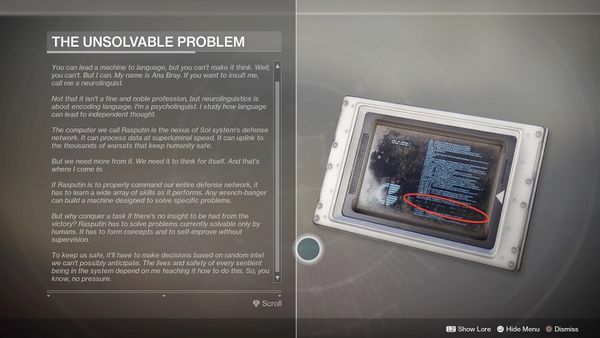 The server appeared as an obvious choice given it's realtion to a diary that is given to the user immediately after completing the warmind campaign. In the main guide, the server is connected to a Braille grid. A few crates have been found on Mars with Braille letters on them. The letters are OEAARRTFWTH, suspected to be an anagram of The Art Of War. Players found this to yield the sentence Destroy all second A and B. Then destroy all third C and R by using the page number, paragraph, word notation from the terminal in this thread. 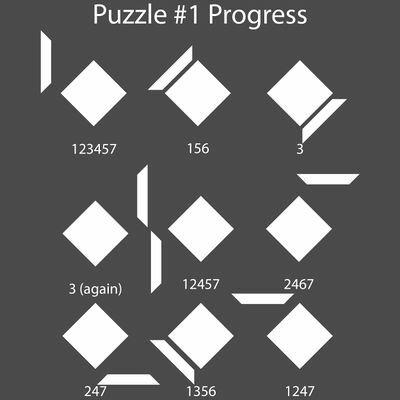 The diamond clues were not actually inherently found to solve the puzzle. Leading options were blinking lights counting the number of flashes next to underlined characters around the map, audio terminals, or a hidden terminal. The blinking light is next to this place with underlined letters found around the map. This part was not actually found to solve the puzzle and the final solution was made without a complete anagram to solve. Thus there is no full analysis here. Only analysis done was the flashing light converting 1=a, 3=c, 13=m, 26=z. The final output is expected to yield an anagram for MECHANIZED. The speaker element was given that name as a reference to looking like a speaker in the infographic. The terminal for this was found near the end of the map on an upper room. The elements in it matched a way to do the japanese notation. Players found it transcribed to SWAN LAKE. 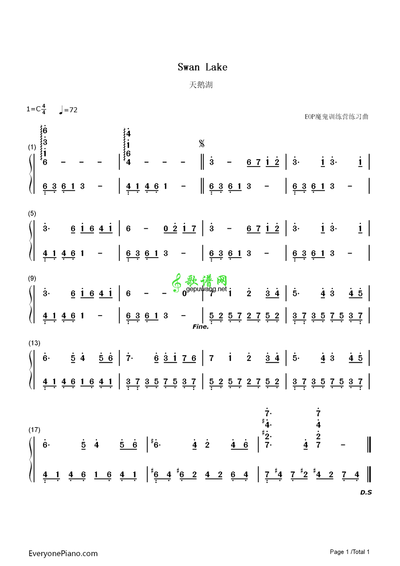 When transcribed it results in a nearly identical notation to the song of swan lake which was later confirmed by other players. Lock clues - A terminal with text needed to be deciphered in Rasputin's chamber. Upon nearing completion of the tasks several reddit users found a final terminal cipher which needed the other information above to decode. 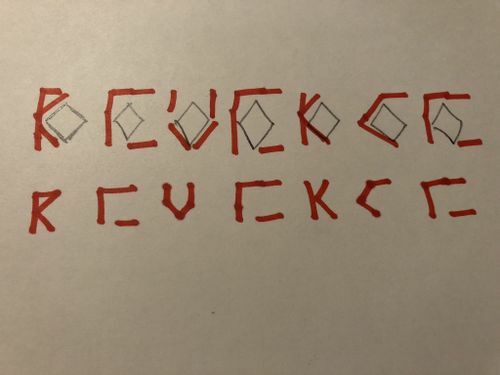 This decoding eventually fell into the game detectives discord where several users worked on it. 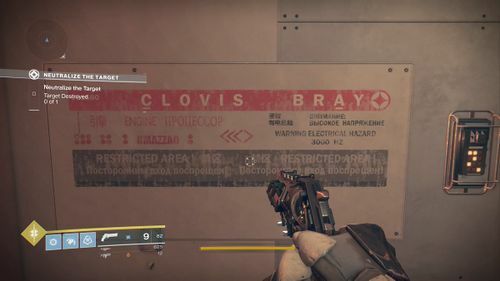 This message appears to come from a destiny 1 character Elsie Bray, the exo stranger. 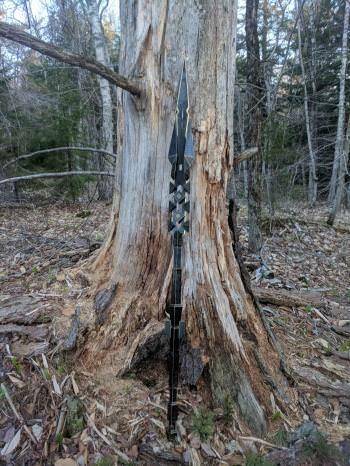 Using the coordinates 43.549573, -73.544868, a group of players tracked down a location and found several items including a valkarie weapon from the game. Collectible numbered Clovis Bray currency and a letter from vicarious visions. This page was last edited on 20 August 2018, at 21:46.